I will be honest when I tell you that I feel like I have been seeking to heal from things since birth. I never felt whole, secure, safe or valid. This is a hard way to live your life.I have always felt like I was a problem that needed solving, or that there was some kind of evil force in the world that was just waiting to reveal itself and come get me. If you know me you know that I experienced a variety of wounds around my power by different sources throughout my life as a child and adult. This journey of healing has been a long and imperfect one. I have been very open and honest about the twists and turns in my life. I have been married 3 times, bankrupt, 360 lbs and suicidal. But let’s get back to the feeling that I was born needing to heal because it is true.I was.I am so thankful that I now know that this is true, that we can be born carrying the traumas and pains from our families, our mother, and our ancestors. It is pretty freeing to know that you are not the origination of that pain. I am empowered by this knowledge and have embraced that it was my life’s work to heal it. Not only for me but for my family, ancestors and to teach those I coach. You may not know this but I was a premature baby, and this was a label I integrated into the areas of my life where I felt weaker or less than. I am so thankful now that I know that I CHOSE to get here early. I had work to do in this particular day and time and I NEEDED to be an Aquarian. It was an absolute necessity to do my work in the world. Kind of cool huh? I chose when and how I would get here. I am now choosing how to heal. If you have read any previous posts of mine you know that I have been working on forgiveness and I have been teaching my clients how to reclaim their power. The response to this has been huge and I know that I am right on track with what I was meant to do here and to share with you all. So how do we know when we have healed something? This is always the question that I have tried to answer for myself and my clients. I mean think about it when you have a physical wound or a broken bone, there is not one light switch moment when you are healed. It does not work that way. In reality, healing happens in all of the little moments and we do not often notice that the healing took place until we look back and see how far we have come. You realize that the wound has now stopped bleeding, or the scar is fading. The break is impacting your mobility less, you can now walk with one crutch instead of two, you can get out of bed by yourself again. These are all of the little noticings that happen as you realize you are healing. It is the same when we are healing our soul wounds, the body and spirit traumas we have experienced. We often notice that the healing quietly took place while we were focused on other things. I want to share with you how I knew that I had healed part of my story. I am hoping this will help you look back and see your own. For many years I have hated Christmas, it was a time of year in my past where many bad things happened and was always a stressor that created more painful experiences. I have been a full on BAH HUMBUG for years. My husband will tell you that on November 1st the anxiety and anger, grief and dread would begin. I wished that I could fast forward to January and be done with November and December altogether. This year something happened, I was in the car the first week of December and a Christmas song I loved as a kid came on the radio and electricity shot through my body. You know that feeling you feel as a kid when you know Santa is coming? The Christmas spirit! Yes, that one! I noticed this new feeling. I then became excited and sang in my car and had a longing to go look at Christmas lights and drink eggnog 🙂 I was noticing that I was not in dread of the season. This year I released all of the obligatory routines of the season that drove me crazy and I felt no guilt for it. This was a new feeling…I only did the things that gave me joy. As Christmas approached I felt excitement for spending quiet time alone with my husband celebrating the holiday together. This is not something we have done in 13 years because I was either traveling to see family, we had put our celebration on hold to travel together, or I was such a CRAPPY BAH HUMBUG it was no fun. This year I did not feel bad about not being with family, I sent them love and well wishes. I did not grieve the past times with my Grandparents that are no long here. There was no sense of dread and the thought of being with just my husband with a few gifts some good food and Christmas movies made my heart happy. There was no loss. Did I feel when the healing took place? No, not really, not that one moment. I noticed the signs, and then recognized the day after Christmas that it had taken place. It slipped in, it integrated, and it made itself know in subtle and not so subtle ways. I did not know the exact moment, but I knew now that I had been healed. I can tell you when I realized it I did NOT ignore it, or just overlook the miracle and move on. I expressed gratitude, I thanked the spiritual beings in my life, and I gave myself credit for doing the hard work. No way I was going to minimize this revelation. Ok so there is a lot about ME in here, and my goal is always to show you how to heal by sharing my journey. So now I want to give you some tips on how healing takes place. Talk about it. You know the saying we are only as sick as our secrets. Find a professional you trust that can hold space for you to talk about your wound. Move your body, because our body holds our story and our pain. You can reach your emotional pain while getting in touch with your body. You can use many mind-body techniques like yoga, massage, EFT. Create boundaries with the people around you who have wounded you. You may have to create protective boundaries which mean you do NOT engage with them. Or you can negotiate boundaries with those that you want in your life but you do not want to resent or be angry with. Forgiveness work is important (see my blog post on it,) and speaks with a spiritual advisor or professional on how you can work on it too. Gratitude. Get a journal and write in it daily. Write down at least 5 things you are grateful for. In you cannot express gratitude you cannot heal. 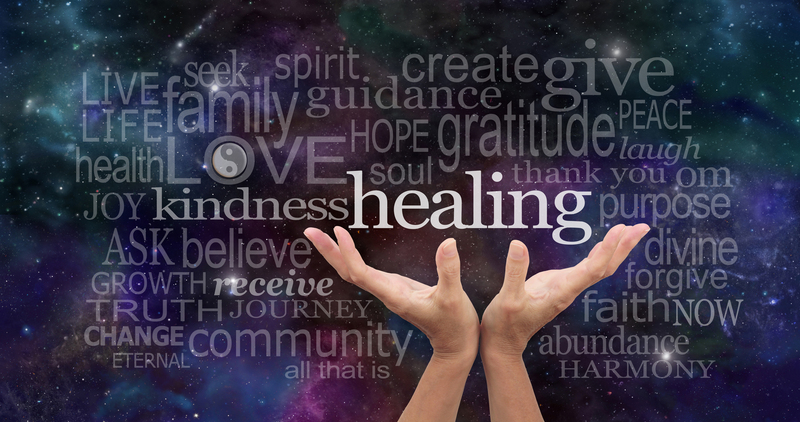 There are many more steps that you can take, but my deepest desire is to show you that healing is a process, it is a gift, and sometimes it is part of our soul mission on this planet. At the end of this blog post, I am going to include some resources that I have found to be helpful. It would mean so much to me to hear your feedback, comments or your own experiences in healing. Please comment below and share your story with us all. If you would like to share it privately contact me here and share. Have you been working on healing your wounds? Do you feel like you need support with this process? I would be happy to speak with you to see if I can be of help. Please contact me here. Ah Nicole, such a great post. As always. #3 has always been so hard. So often the folks around us do not WANT us to have clear boundaries. Always working at that, up close and personal, or at work, or in play. Thanks for sharing with us.